InclusiveHost Review 2019: Is InclusiveHost a Good Hosting? 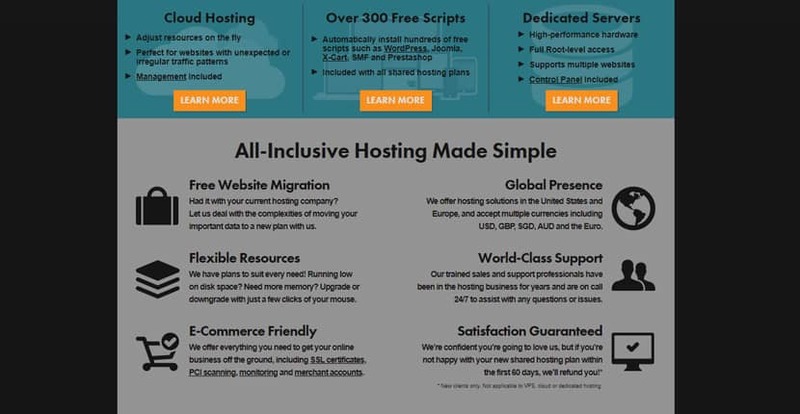 InclusiveHost is a privately-held U.S.-based web hosting provider with data centers in Phoenix, Arizona; Dallas, Texas; Piscataway, New Jersey; Chicago, Illinois; and Amsterdam, the Netherlands. The vendor has competitively-priced hosting solutions ideal for small and medium-sized businesses. InclusiveHost is a web hosting company based in Phoenix, Arizona with several data centers in the U.S. and the Netherlands. The company delivers website hosting solutions to businesses of all types and sizes. The vendor also has a significant presence in the United Kingdom, Australia, the Netherlands, and several other European countries. On top of that, you also get multiple add-on domains even with their most basic package along with the Weebly website builder. This makes InclusiveHost a beginner-friendly choice, although I would’ve liked to see the inclusion of a free SSL certificate with their entry-level plan as well. A free one-year domain registration is included with quarterly contracts or longer, and with the Select Hosting plan or higher, you’ll get a dedicated IP address. InclusiveHost is an e-commerce friendly platform, offering PCI scanning, merchant accounts, monitoring, SSL certificates, and other tools that simplify the running of e-commerce websites. They also offer free website migrations for new clients. While InclusiveHost offers certain security and monitoring features as part of their hosting packages, you’ll only get basic security with these packages. To get a full-fledged security and monitoring solution, the vendor has created separate packages for which you have to pay extra. For customers dealing with issues like PCI compliance, InclusiveHost is a particularly good vendor to consider with their PCI Compliance Scanning service. Note that email hosting isn’t included by default in their packages; instead, InclusiveHost offers email hosting services with up to 20GB of storage for a single domain. As you can see, while this vendor includes a number of features in their plans, most of these features are highly limited and will often force customers to purchase higher-tier plans or an increasing number of add-ons. InclusiveHost’s solutions appear quite competitively priced at first glance, but a different picture emerges once you take a closer look. The challenge with using this vendor is the fact that the features in their hosting packages are quite limited, and may sometimes force customers to buy access to additional tools and services to establish a decent web presence for their business. For instance, email hosting isn’t included, and users must pay extra to get additional features like inclusive server management, continuous data protection, and PCI and security scanning. This makes the vendor quite expensive for webmasters running big and complex websites such as for e-commerce, which cannot do without these features. On the upside, all shared hosting solutions from InclusiveHost come with a 60-day money back guarantee. Their managed WordPress plans, on the other hand, come with only a seven-day satisfaction guarantee. InclusiveHost’s support is a big reason many webmasters prefer their services. There are several ways you can contact their support team. These include live chats, support tickets, or social media channels. The vendor has not included a support phone number on their website, but there is a callback option available through their contact form. Other than that, InclusiveHost’s knowledge base has over 100 articles to help webmasters resolve any hosting issues they’re likely to encounter. InclusiveHost’s support team is quick to respond to customer queries, especially when you contact them during office hours. I found them to be patient and polite, going out of their way to help you understand and fix issues. They come across as a highly motivated team committed to ensuring the customer gets the help they need to make the most of their hosting solutions. onClick="trackClickout('event', 'clickout', 'Vendor Page - Visit User Reviews', 'InclusiveHost', this, true);"
I have been with them for many years now. In the beginning any issues that came up were resolved very fast. I have had many issues in the past couple months and customer support is non existent. I waited 4 days for a response and resolution to my site being down. That meant no access to my cpanel which meant no access to my business email. It happened again this week and I am on day three of trying to get a resolution and I have had zero response from them. There is no phone number to call. Everything is done through a support ticket system that they don't respond to. Never go with a company that does not have a phone number to call. Lesson Learned. While InclusiveHost has a good reputation in delivering excellent web hosting solutions, for big and complex websites, this vendor can be quite expensive. This is largely because of the many additional features you may have to purchase to get a full-fledged hosting solution. For small businesses, however, the solutions are more than sufficient and relatively pocket-friendly. Wondering how InclusiveHost stacks up against other Web Hosting companies? Enter any other Web Hosting company and we will give you a side-by-side comparison.